FINAL DAY OF FUNERAL FOR PAPA PAULUS OKOTH.6th November 2016. 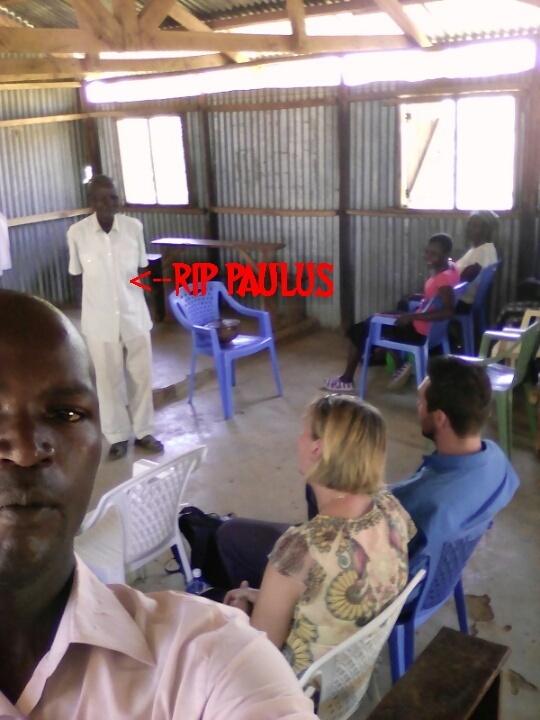 PAULUS was my good church elder and also a friend.He passed away on the 30th of october later in the evening after we had worshipped together.Though he had shown no signs of being sick and even went to bath near the river,twas shocking to the entire church and villagers at unexpected death.We have been together with the family in mourning .We Laid him at his final resting next to his house yesterday.She left mama Mary who is also our church mother.I pray that God will enable us to keep her strong through prayers and through other ways where we will be able .Keep her in prayers ,She has joined my list of widows we have in church.God bless . This entry was posted in Sam's Blog on November 6, 2016 by Sam.